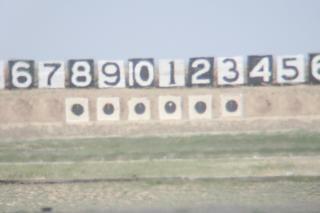 Shooters prepare for the first relay at 800 yards on Saturday morning of the 2006 F-Class Nationals held at the Sacramento Valley Shooting Facility. Photo credit Eric Johnson. Ask a shooter if he can hit a target a half-mile away, and he'll probably think you're joking. It's hard to even see a target at that distance. However, many F-Class competition shooters shoot 60 rounds at 1000 yards into groups the size of a pie plate on a monthly basis. Long-range competition has been around for a long time in the form of NRA High-Power Long Range and international Palma or Full-Bore 1000-yard matches. Competitors in these well-established matches use heavy shooting coats, metallic aperture sights, and can only use a sling for support when shooting prone. Many people wonder how a target a half-mile away can be seen using what are essentially just iron sights. In the last ten years, a new long-range division called F-Class has sprung up which lowers the cost of entry into 1000-yard competition. Held as a separate division at NRA Long-Range and Palma matches, F-Class is a place where you can shoot your long-range varmint, hunting, or tactical rifle. Unlike conventional NRA Long-Range competition, in F-Class you can use a bipod or front support, a rear sandbag, and a high-powered scope to get a good view of that 1000-yard target. Mr. George Farquharson, a Canadian Full-Bore shooter, started F-Class as a place for people who didn't have the eyesight to see the 1000-yard target nor the physical stamina to shoot from their elbows in a slung-up prone position. The class has since evolved into a highly competitive game in its own right. Through the spotting scope, the targets are distorted by mirage, but the spotting disks are visible on several of the targets. The object of F-Class is to shoot 20 rounds into the center five inches of a six foot square paper target at 1000 yards. The X-ring in F-Class is five inches, the ten-ring is ten inches. The black bullseye portion of the target is five feet across, and is easily visible even over a half mile away. To get X-ring accuracy at 1000-yards, you need to start with a rifle that will shoot half-inch or better groups at 100 yards. Luckily, most modern bolt-action rifles will shoot one MOA with factory match ammunition, and with hand-loads can group even better. At close range, shot to shot changes in muzzle velocity won't make much difference in the point of impact. At longer distances, however, small differences in muzzle velocity translate into vertical error. For a .308 Winchester load, a 30 fps change will result in the shot hitting ten inches low at 1000 yards! However, with hand-loaded or factory match-grade ammunition, this can be minimized. The real challenge of long-range shooting is wind estimation and tracking wind changes. The flight time for an average long-range load is about 1.4 seconds; a ten mile-per-hour cross-wind will push the bullet between five and seven feet during this time. There is no guarantee the wind conditions at the firing line are the same as they are down-range, and more often than not, the wind will change throughout the day. 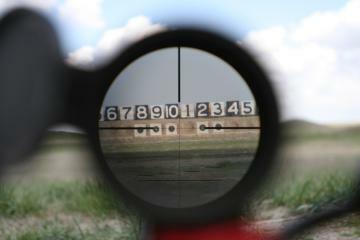 Although most F-Class competitors use higher-powered scopes, the author's 12x Schmidt and Bender provided a clear view of the target. If you already have a Remington 700, Winchester Model 70, or other rifle that can shoot one MOA or better at 100 yards, you can get it tuned up for 1000-yard F-Class. You'll need a good scope with enough adjustment to get from a 100 or 200-yard zero to 1000 yards. The easiest way to ensure the scope will make it is to use an inclined scope base, which usually have 20 or 30 MOA incline built in. The scope should have external target knobs, and top-end magnification at least 12x. Popular scopes for F-Class include the Leupold Mark 4 and VX-III Long Range models, and the Nightforce NXS models. Finally, you need to know how much bullet drop compensation is required to move from your short-range zero to the six-foot square target backer at 1000 yards. The easiest way to get "on the paper" is to run one of the ballistic calculator programs which are available online or from Sierra, Pejsa, NECO, RCBS, and Exbal. With the correct data for your load, rifle, and environment plugged in, these calculators will usually be on within a scope "click" or two. 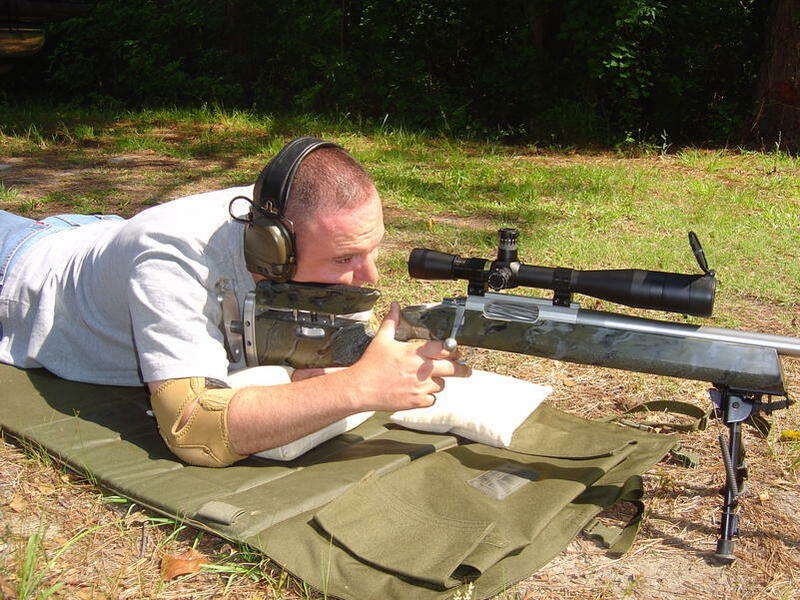 Instead of setting up a rifle specifically for F-class, the author used his long-range tactical rifle to shoot his first F-Class match. My long-range shooting experience comes from practical and tactical long-range matches, which have a slightly different set of challenges than F-Class. F-Class rewards the ability to put shot after shot into a five-inch X-ring or ten-inch ten ring over the course of 20 rounds while monitoring wind changes. I recently shot my first F-Class match at the Colorado Rifle Club in Byers Colorado because I was curious about F-Class and I knew it would be good practice for long-range shooting of any type. I took my Accuracy International AW, which was rebarreled last year to .260 Remington by George Gardner at G.A. Precision using a 26-inch medium Palma barrel from Rock Creek Barrels. The .260 Remington is essentially a .308 Winchester case necked to 6.5 mm, and shoots 140-grain bullets at about 2825 fps. It beats .308 ballistics with a little less recoil. The rifle is topped with a Schmidt and Bender 3-12x50 mm model PMII scope, the commercial version of the new USMC sniper scope. My drop data for 1000 yards at Byers was 7.5 mils. Although I normally shoot with a muzzle brake, NRA rules prohibit brakes in F-Class. Using a corrected zero with the brake removed, I was in business. There are three jobs to do at a High-Power, Palma, or F-Class match. The first is to shoot; the second is to sit behind a shooter and score his target after each shot. The third is to run the pits. 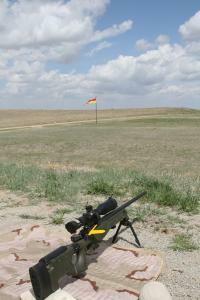 Thousand-yard ranges used for these matches have a protected pit area under the targets. 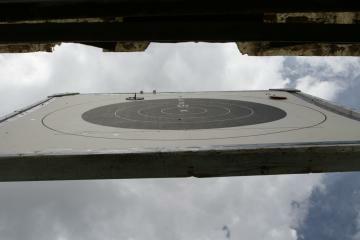 This is the view of the target from down inside the safety bunker. The spotting and scoring disks are visible. My first task was to run the pits. Secured in the safety bunker under the targets, when I spotted a impact in the dirt, I pulled down the target frame and placed a plastic impact spotter into the bullet hole. Based on what ring the hit scored, I would place an orange spotter around the outside of the six-foot-square target backer in the position to indicate the ring number. For example, an X is indicated by placing the value disk on the lower left-hand corner; a ten at the 6'o'clock position; a nine at the lower right-hand corner, and so on. A miss is indicated by placing the value disk at 12'o'clock. The second task is to score for a shooter. To score, you sit behind a shooter and peer through a spotting scope at his target. Each time the target is pulled and the scoring disk is placed, you record the shot's score on the shooter's score-sheet, and tell the shooter what he scored. When it was my turn to shoot, there were a few minutes to bring my rifle, ammunition, and any other equipment to the firing line. There is then a three-minute preparation period which starts when the targets appear. During this time, I dialed the elevation setting on my scope, got into a good position, and started to observe the wind indicators. After the preparation period ends, the firing period begins. F-Class allows 30 minutes for 20 scored shots. The shooter may take an unlimited number of non-recorded "sighter" shots before he starts for record, but then the next 20 shots count. These sighter shots give a chance to make sure you're on paper, have the right elevation dialed, and get a handle on the real wind conditions. It might take a few shots to get into the 10-ring. Now, if the wind would stay exactly constant, the shooter would have no excuse to not shoot the next 20 shots for record into the 10-ring! But in reality, the wind continuously changes and the shooter needs to stay on top of it. Wind direction changes are critical; a missed direction change can result in missing the paper entirely. While laying down for 30 minutes and firing 25 rounds at 1000 yards doesn't seem too exciting, I thought it provided excellent lessons in judging wind change and speed from multiple indicators including range flags, trees and grass, and mirage. A day's shooting at an F-Class match usually consists of three separate 20-round "matches." A perfect score on a single match is a 200-20X, which means that 200 points were gained by hitting the 10-ring 20 times, with all of those also being X-ring hits. F-Class matches are available all over the country at NRA Long-Range events, and are one of the easiest ways to get into serious long-range shooting. For the practical competitor, tactical sharpshooter, or varmint hunter, shooting a few F-Class matches a year will improve your skill shooting in windy conditions. Push your comfort zone and give it try! 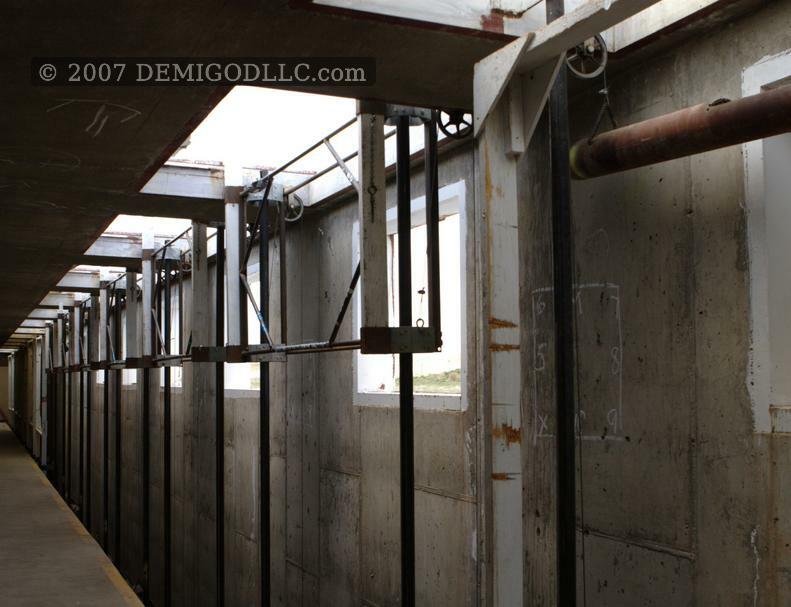 Inside the safety bunker, targets are pulled and scored using a target frame and pulley system. 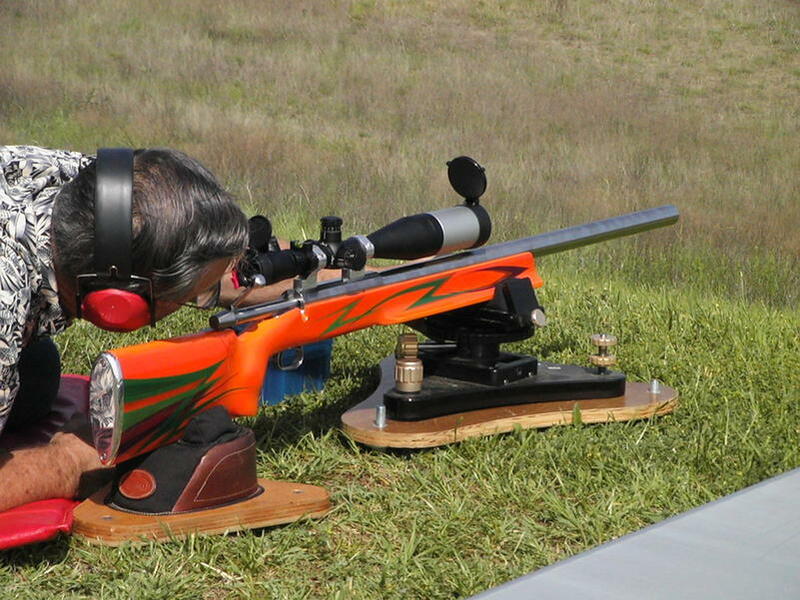 Jeff Cochran won the US Nationals in 2005 using this trued Remington 700 short action with a 30-inch Broughton 5C barrel in a McMillan MBR stock, chambered in 6.5-284 Norma. Photo credit John Huebene. 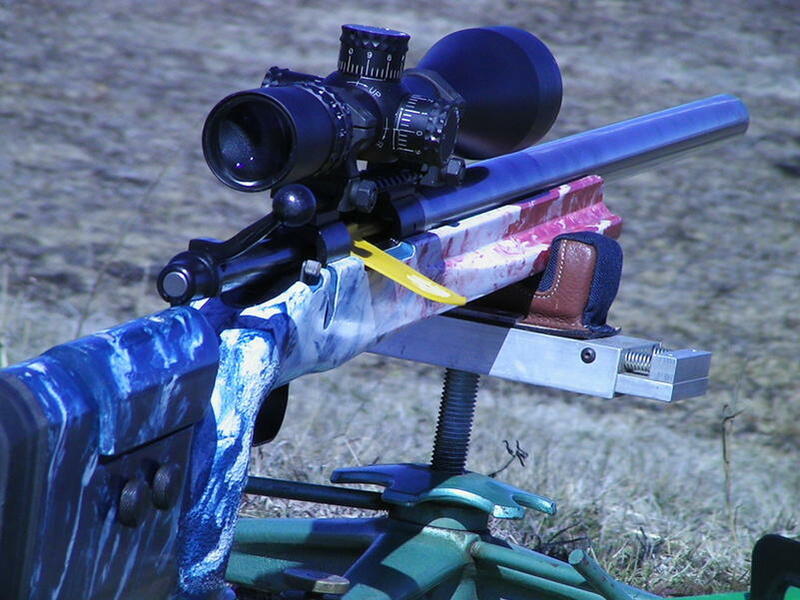 Taking a cue from short-range Benchrest, many custom F-Class rifles sport snazzy paint jobs like this one at the 2006 Western States F-Class Championship in Waco, Texas. Photo credit Cory Gosnell. 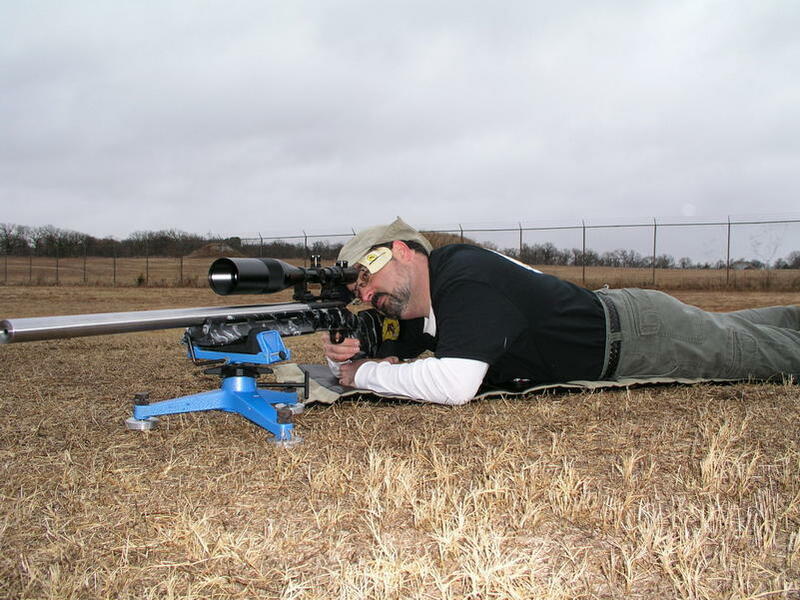 F-Class shooter Jeff Rorer uses a custom rifle built on a Stolle Panda action with a 30.25-inch Krieger barrel chambered in .308 Winchester to compete in the "Target Rifle" class which requires the use of .308 Winchester or .223 Remington. Photo credit Mark Dickens. Pictured at a 600-yard match at Ft. Wolters in Mineral Wells, Texas, Roger DeLatte's 6.5-284 Norma rifle sports a Nightforce NXS scope. Photo credit Cory Gosnell.